Same principle as yesterday’s necklace (i.e. 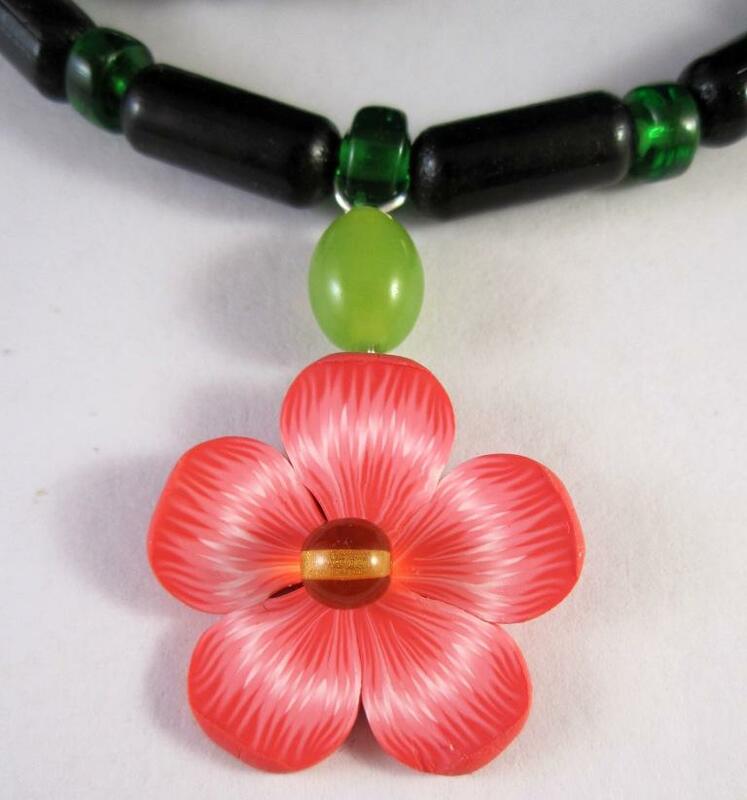 big focal bead on chunky-bead necklace), but the pink flower bead is only about 3cm in diameter. I still need to be even braver with the size of bead that I make in future. …and these beads reaaaally don’t match the pink-and-white flower pendant! Ewww. That green bead in particular looks like a grape. 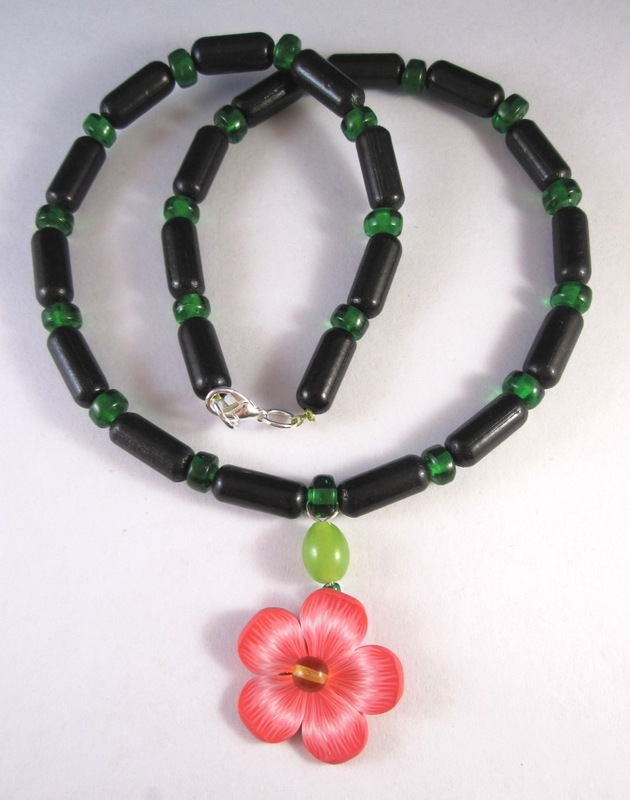 And the chunky dark beads just don’t go with the flower. One of these days I will have to make a better version. I like your polymer clay crafts so much, I also interest in making with clay! Thanks! I looked at your work and all of those characters are cute!